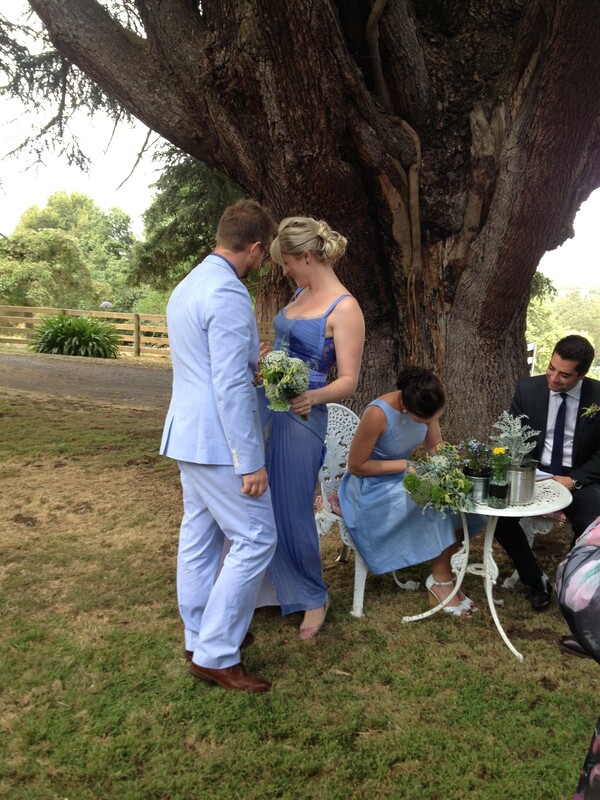 On Saturday the 18th of January 2014 Knockwood Estate hosted the wedding of James Wardle and Zara Black. The week leading up was a record for the number of consecutive hot days in a row, but on Saturday the gods smiled on James and Zara and they had a perfect day with perfect weather! What a pleasure it was to host this wedding, we had a ball! The bride and groom stayed at Knockwood prior to the wedding and on their wedding night. All their plans went perfectly and we are thrilled with the results. Knockwood Estate has a fine history of hosting weddings in a unofficial capacity for many years. Family members and friends have been coming to Berrys Creek for weddings and parties over the years and enjoying the atmosphere that we believe is unbeatable. Julie’s father and brother were married at Knockwood and Jeremy and Julie hosted their own wedding in March 2006. Our love of family and marriage led us to creating a venue for other people to enjoy this special place also.